Lonzo Ball worked hard on his shot during the offseason. The young guard's hard work has earned at least one appreciative critic: Los Angeles Lakers president of basketball operations Magic Johnson. "We didn't want to bother him (with his shot)," Johnson said Thursday at the Lakers' practice facility. "I think he decided to do that on his own. ... And, man, it is beautiful." Johnson said he has seen progress both mentally and physically from Ball, the No. 2 overall pick in the 2017 NBA Draft. He predicted a breakout season from the guard, who averaged 10.2 points and 7.2 assists per game a season ago. "We explained that this is going to be the most important offseason and while he could be on the court, his shot looked great," Johnson said to reporters. "He is going to be ready to have a breakout season and build on what he did last season, because it was only a couple of things he had to do better, and that was driving to the basket, finish and get the midrange in terms of getting his shot where he is on balance. It is not his shot. He just has to be on balance. ... 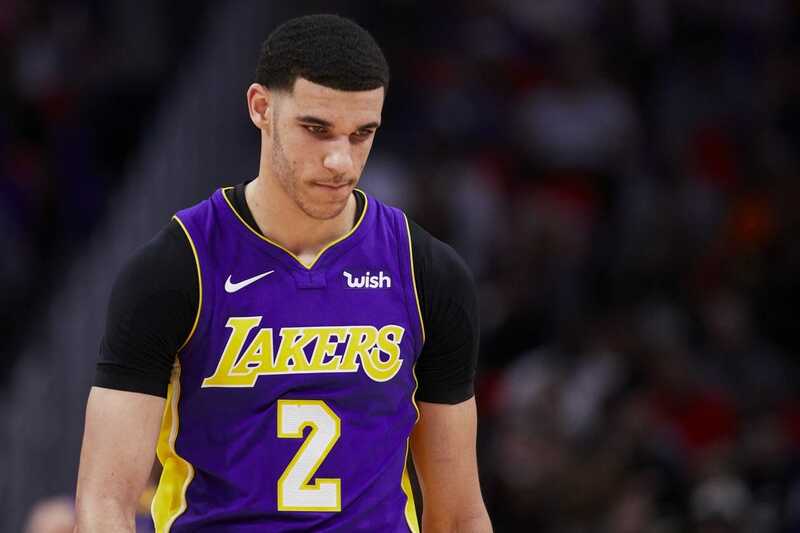 I am excited for Lonzo, and he is going to be fine." Ball will play alongside prized free agent signing LeBron James this season. "I think his shot looks incredible," general manager Rob Pelinka said of Ball. "He was here every day. He was one of the most committed guys this offseason. ... The way he's shooting the ball looks a lot more fluid now. "One of the things about his college metrics is he was an outstanding 3-point shooter. With this team, with so many different ball-handlers, I think that's a strength for him. If he pushes it ahead to someone and runs and fills a spot, and he's a catch-and-shoot player, he's going to have the ability, I think, to be a good shooter."